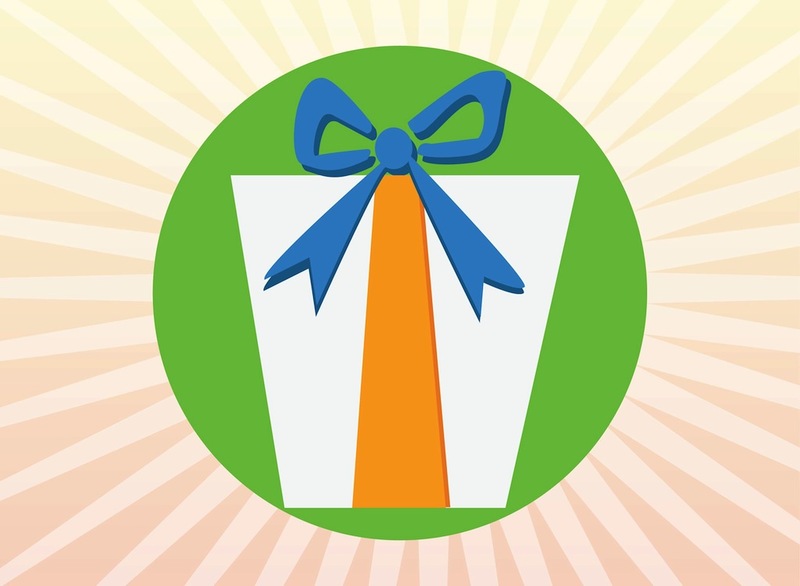 Present vector icon of a gift box. Trapezoid shape of the box, colorful ribbons decorating the package. Bright color circle behind the box. Free vector graphics for presents, gifts, birthdays, Christmas, New Year, holidays and special occasions designs. Download gift vector to design greeting cards, icons, company logos and stickers. Tags: Birthday, Box, Greeting Card, Holiday, Icon, Present, Ribbons.